It’s Pot Luck Saturday in Orange again this Saturday and I want to encourage everyone to get out and check out the Pot Luck specials and sale items that are on offer at stores all over Orange City. When Orange City Life decided to make our Community Project this year Put Orange First, we knew it would take a while before any worthwhile momentum might start to happen. What Put Orange First is all about was on show for all to see last weekend when Orange City was abuzz with people. Our Team Orange group met again last week and the more we get together, the more we realise just how much opportunity we have in this beautiful city of ours. Things continue to tick along with our Put Orange First initiative as evidenced by the feedback and comments we’re getting, along with some good ideas. 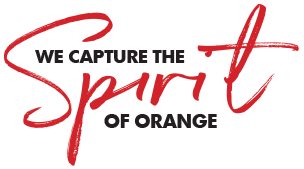 Put Orange First is Orange City Life’s Community Project this year and we’re hopeful that by year’s end, we’ll have made some significant differences to the way people feel about our beautiful city and to our local economy. It will all depend on how much the community at large embraces what we’re trying to do. Our 2019 Community Project to ‘Put Orange First’ is up and rolling. Now it’s a case of seeing how much traction we can get. Throughout 2019, Orange City Life will be encouraging our readers to “Put Orange first!” in a whole range of areas.